← What is Success, Really? Who says weeds are an unwelcome nuisance? Try this easy recipe to discover their yummy nutritional benefits. Consider using the greens (leaves) of dandelions, lambsquarter, amaranth, or sow thistle to add extra vitamins and minerals to your diet. Kids love ’em! Over the year’s I’ve learned to use applesauce to add moisture, flavor, and to decrease the amount of sugar in some baked goods. This recipe can be adjusted further if you want to use gluten-free flour (be sure to add xanthan gum or other binder) or stevia sweetener. Remember if you do too many substitutions in a recipe it begins to change the texture, baking time, and how high it will rise. Be open to these changes, and remember – if it tastes yummy – it is a success! If it looks weird, crumble it into pieces and pour pudding or fruit sauce over it and call it “Weed Surprise”! 2. Place the first 6 ingredients in a food processor and purée. 3. Place the remaining ingredients in a separate large bowl and combine. 4. Slowly pour greens purée into dry ingredients and mix only until combined. Don’t over-stir. 5. 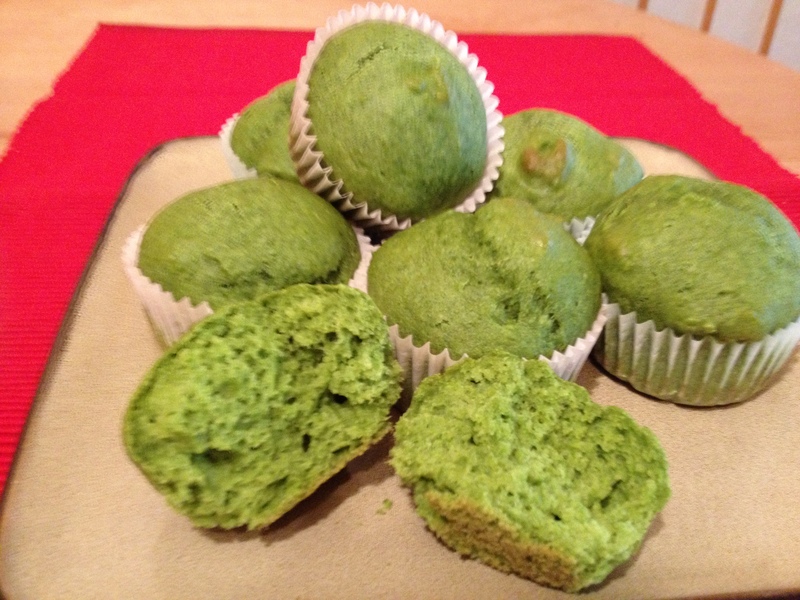 Scoop batter into a greased or papered muffin tins, filling each cup 2/3 full. 6. Bake for 10-12 minutes or until inserted toothpick pulls out clean. This entry was posted in Recipes, Food and tagged amaranth, apple sauce, Baking, Baking powder, cosmic gathering, cupcake, dandelion, dessert, ellie hadsall, Flour, gluten free, healthy, Ingredient, kids, lambsquarter, Muffin, Muffin tin, muffins, natural, nutritional, organic, pig weed, recipe, snack, sow thistle, stevia, sustainable living, Teaspoon, treats, Vanilla extract, weeds, wild greens. Bookmark the permalink. How creative, nutritious and I bet delicious! Thank you for sharing! Thank you, Chiara. If you were here, I’d love to share some goodies with you! Thanks for the reminder about sunflower oil. You can use any cooking oil of choice. There is a sunflower oil available in health stores that can cook at a higher temp if someone loves that flavor.